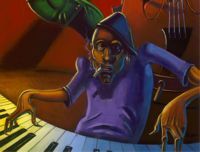 Renowned artist Justin Bua’s signature style of Distorted Urban Realism imparts a vibrantly fresh, stunningly innovative flavor to his “Piano Man” series. Growing up as a break-dancer and graffiti artist, Bua’s highly original work reflects an urban, multicultural, Hip-Hop influenced world. Inspired by a youth forged on the untamed streets of New York’s Upper West Side, the relevance and brilliance of Bua’s work has universal appeal that transcends race, gender, age and economic status. Recommended books on Justin Bua: Beat of Urban Art: The Art of Justin Bua. 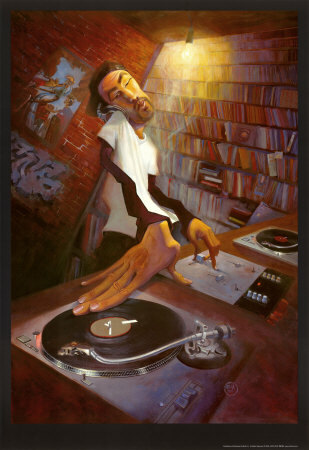 The Legends of Hip Hop by Justin Bua.